Here is the perfect way of combining some of my passions, Blythe & Photography and sharing them with you. My first offerings are Blythe Photography Postcards. A selection of 5 images consisting of some of my custom Blythes. 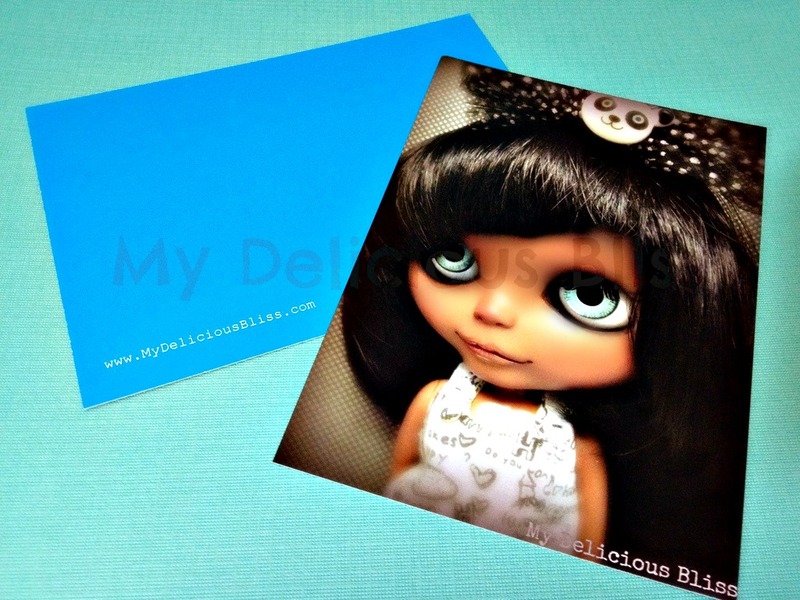 Each Postcard is printed with a high quality image, with a gloss laminate finish and satin smooth unlamented turquoise background on the reverse. 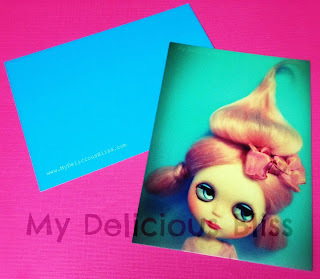 Each postcard measures 4" x 5 1/2" and are perfect for framing or post. 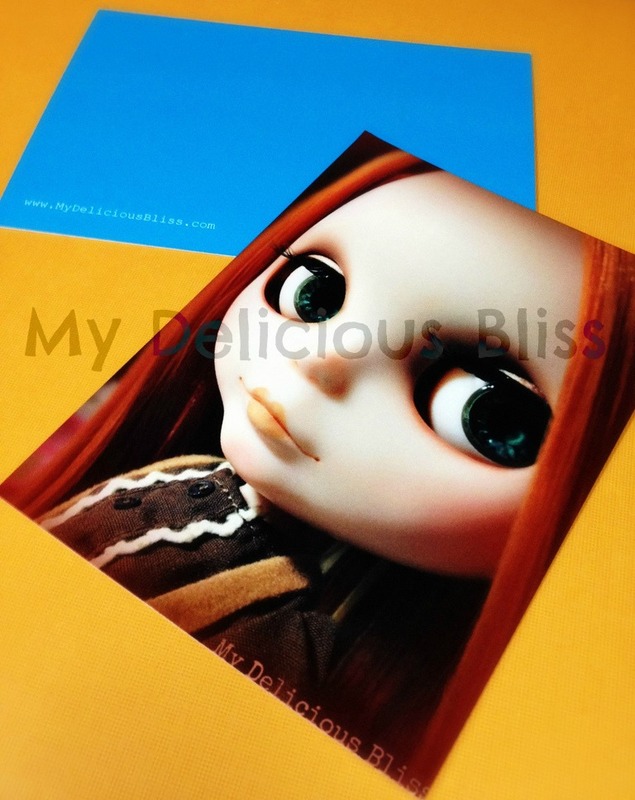 Card stock is sourced from sustainable forests, is Elemental Chlorine free and wood free.